Michael Bisping has always shined brightest under the lights at home, but he was the big winner of an unusual event on Saturday. First off, it’s a crime to call either fighter a loser after tonight’s main event. I was impressed as much by Bisping’s resiliency as I was with Silva’s inspired return to competition. That said, I think the fight was taken away from Silva twice. The first, and easiest to explain, I gave Silva the decision. The third ended clearly in his favor (more on that in a moment) but I also felt he took control of the fifth. The first is the only round I had in serious question as it was more of a feeling out process, but I felt Silva was more accurate in landing his strikes while evading Bisping’s attack. Of course, the real question mark is in the third round. The entire sequence was one unseen before in a UFC main event. Silva connected cleanly, and within the time frame. My question is: If Bisping was saved by the bell, why was he given so much time to return to his stool? I do agree that Bisping was not unconscious, but if the referee is calling for you to return to the stool and you remain on the mat, how is he considered being able to continue? For Silva, I don’t think he was in the wrong to celebrate. Even after they said the fight wasn’t over, I had no doubt that the call was going to be overturned when “The Count” did not get back to his feet. In that way, I do think that Silva was robbed of a KO victory in the third. We have seen Rousimar Palhares get knocked out for being distracted in a bout with Nate Marquardt. Even boxing great Floyd Mayweather has won a fight due to a distracted opponent in Victor Ortiz. Yes, the referee will return the mouthpiece when there is a lull in the action. But, he has NEVER stopped action when two opponents are so close together. When looking at wars where fighters like Robbie Lawler have lost their mouthpiece and kept swinging, that is simply a moment where the Brit should have been ready to compete at the cost of his teeth. That is easy for me to say. But, he is the one in the fight business. That’s part of the risks they sign up for. There is no excuse for Bisping, especially as an analyst, to try to get the fight stopped with Silva in such close quarters. Now, I don’t blame Bisping for the call. He kept fighting the way you’re supposed to, and he showed some championship heart in coming back. I did not like how overly patient Silva was. His mental tactics are brilliant to watch as the resilient Brit found himself stumped on occasion in trying to penetrate the Brazilian’s defense. But, those tactics are for nought if Silva does not inflict damage as a result. He could only bide time so much before he should have gone for a more traditional approach to score points and assure a victory. I felt that Silva did enough to win the decision. 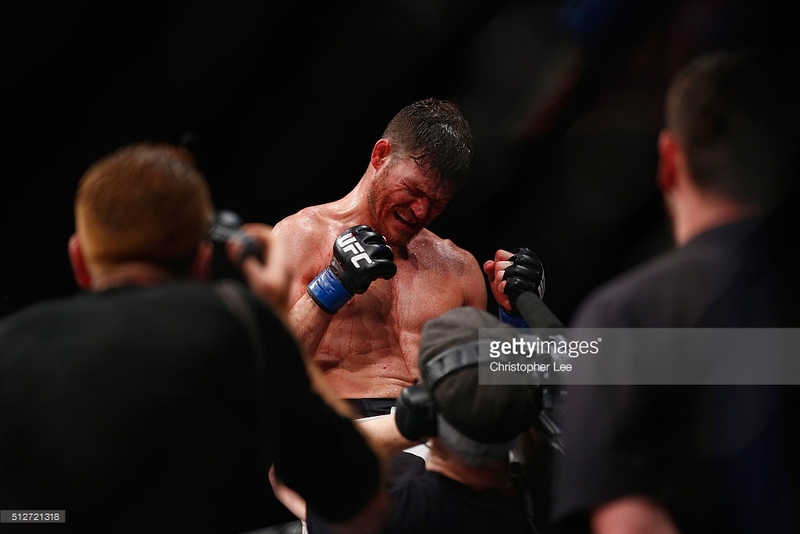 And I think Bisping’s career should be defined by the kind of skill and heart that he showed tonight rather than the losses in big fights in his career. But it was a circus. And quite frankly, the circus sometimes doesn’t make sense.